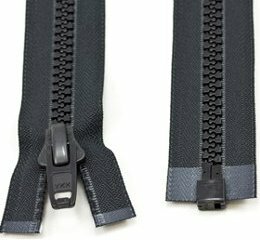 With teeth made from Delrin and polyester tape that make them stand out from standard zipper offerings, our YKK No. 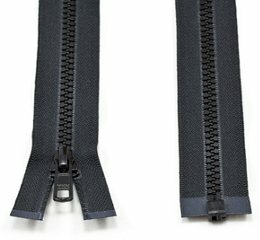 10, 8 and 5 Vislon Separating Zippers are extremely strong and lightweight. 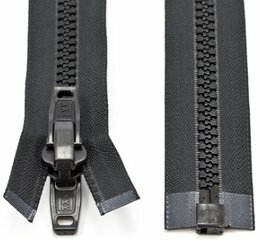 Our zippers are made durable for environmental situations where effectiveness and longevity are a priority. They are excellent for a wide variety of industrial, consumer and military applications. 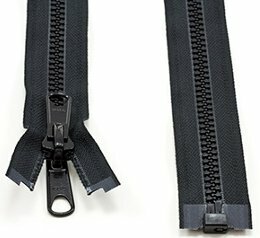 Corrosion resistant with a self-lubricating zipper, our YKK No. 10, 8 and 5 Vislon Zippers operate smoothly despite mud, sand and other environmental irritants. The finish will not rub off, peel, or chip. Order your double pull or single pull zipper by 3 pm eastern, and we'll ship it today!